Although our Chefs-in-Residence are some of America's most incredible cooks, we're inspired by the simple food they make at home. 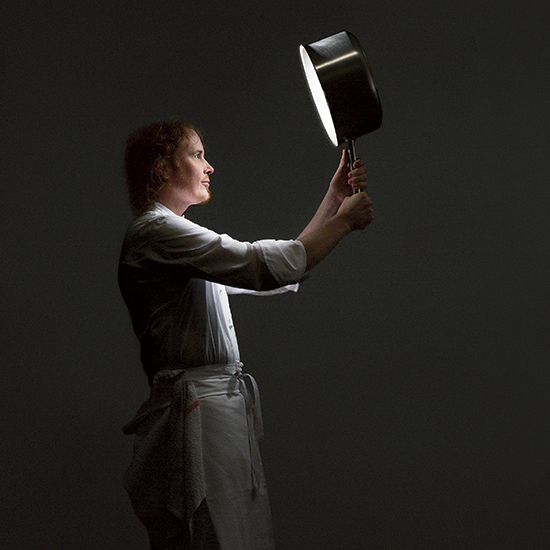 Here, some little-known facts about Grant Achatz. Although our Chefs-in-Residence are some of America's most incredible cooks, we're inspired by the simple food they make at home. Here, some little-known facts about Grant Achatz, the famously cerebral and intense avant-garde chef behind Chicago's Alinea, Next and The Aviary. On his morning routine. "I generally get up by 9 or 10 and have a cappuccino, a double vitamin C packet and a freshly juiced drink—today it was celery, apple and kale," says Grant. If he wakes up too early, he watches reruns of The X Files, House or Friends. On home cooking. "Serene and relaxing" is how Grant describes cooking at home for his two sons and his girlfriend, Briseis Guthrie. On equipment. Grant doesn't have a fancy stove at home. It's a GE Profile that's almost 20 years old. On late-night dinner. When he gets home from the restaurant between 1 and 3 in the morning, he eats a quasi-dinner of Wolfgang Puck canned soup, a simple pasta or leftovers.